In the novel, Kelvin is finished with the fact that science rules our lives. Kelvin states, ”We all know that we are material creatures, subject to laws of physiology and physics, and not even the power of all our feelings combined can defeat those laws. All we can do is detest them.” (Lem, 204). Kelvin seems to want a less tangible way of life. He wishes that Rheya was real. If he had not been governed by science he could have been with Rheya and not felt guilt about it. Unfortunately, Kelvin knew she was an apparition and therefore could never really have her. His belief and trust in science had ruined his second chance at love and redemption. Kelvin also stops believing in love. He states, ”The age-old faith of lovers and poets in the power of love, stronger than death, that finis vitae sed non amoris is a lie, useless and not even funny. “(Lem, 204). Kelvin feels so strongly against love because Rheya left him for a second time. The first time Rheya left, he blamed himself for her suicide. The second time that Rheya appeared, Kelvin thought that he had been given a chance to make amends and love her the right way. He learned that love does not transcend death. Rheya could not love Kris with the same capacity or intensity that he loved her. Therefore Kris was resigned to believe that love is an illusion; a cruel joke that does nothing but bring heartache and torment. Love is no longer a duality of happiness/sadness for Kris. Love only represents pain and loss; this is why he decides to give up belief in love as something that can be beautiful. Kelvin had attained very little by the end of the novel. He set out to make contact with the ocean for naught. His sole mission on Solaris was a great failure and this left him feeling empty. The only information Kelvin learned about Solaris was that nothing could be learned about Solaris. No scientist had ever cracked the mysteries of the ocean. By the end, Kelvin believed no one would ever get even close to the “why” of the ocean. The lack of knowledge that Kelvin receives from his mission utterly devastates his life. His professional career is over because nothing important or relevant was accomplished during his tenure on Solaris. If anything, Kris’ time on Solaris introduced an infinite array of questions that he could not answer. How could Kris come to understand the ocean’s strange “gift” of Rheya? What did the ocean wish to accomplish by placing Rheya on Solaris with him? Why did the ocean resist all forms of contact with humans, but then gave them virtual loves? All of these questions plagued Kris and left him with no answer. Kris came to distrust and discount all he ever held to be true because of his time on Solaris. In the film, Kris contends with his experiences on Solaris in a slightly different way. He is upset by the appearance of Khari. At first he sends her away in a rocket, but when she reappears he fully embraces her. He loves Khari so much that he wants to be with her forever. Khari realizes she is not the real Khari and this devastates her. She wants Kris to realize this but he refuses. He wants her and does not care if she is real or not. For this reason, Khari kills herself to set Kris free. She wants him to love someone who is real, not a copy or fantasy. After Khari kills herself Kelvin completely detaches from reality. He wholly succumbs to the mystery of the ocean. The very last scene shows Kris at his home, but it is not really his home; it is a fabrication of the ocean. On this island home Kris can live life the way he wants to. He can finally make amends with his father and start over. He gives into a fantasy world because it is the only thing he wants. The ocean was possibly trying to help Kris make amends with the people in his life who he hurt. That is why Khari appeared to him on the station. The dreams of Kris’ mother may have also been manifestations of his need for her love. The ocean may have recognized Kris’ deep need to reconcile his past failures with those he loved. This is why it offered him the island home to use as a way to make things right. Kelvin’s transformation was into a person who does not care what truth is. After being able to have Khari around again he does not want reality. Kris wants to live in a world where all the things that once went wrong could be righted. Any person would want to be able to hug their father and forgive all the wrong that went on in the past. The ultimate wish of children is to be able to have the love and respect of their parents. This is what Kris gained by living on his island home. He got to feel the pure love that a child needs from their father, since he could never get that love in a conventional or real way on Earth. The beginning and end of the film are very similar yet radically different. At the beginning, Kris is surveying the lake and woods around his home. The shot of the flowing water and grass show the tranquility of his surroundings. It is evident that Kris loves this place very much and will miss it when he goes to Solaris. At the end of the film the same shot of the flowing water and grass is shown. On the island home the ocean has provided Kris with the beautiful surroundings he loves. Other than the surroundings though the island home is completely different. At the beginning, Kris and his father argue before he leaves for Solaris. Kris’ father chastises him for his inability to interact nicely with other people. This angers Kris and they part on bad terms. On the mystical island home, Kris is fully embraced by his father. This was his innermost wish and he finally gets to realize it on Solaris. To Kris is does not matter that this situation is not real. Kris will except this facade because fake acceptance and love is better than none in his mind. 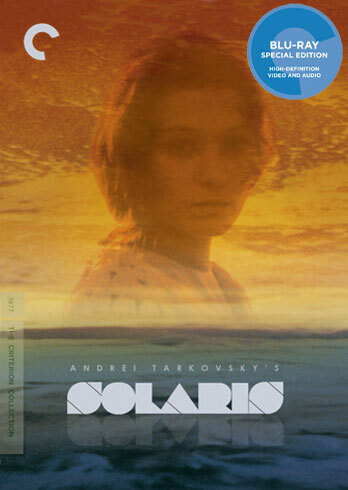 The novel and film Solaris raise nearly unanswerable questions about love and reality. The film asks if it is better to live a lie if you ultimately find love that way? Is this a dishonest way to live or is it justifiable? The novel contends that love is always an illusion and will cause pain in the end. These two ideas cast Kris in a surprisingly similar light. In the novel he has cast off all the trappings of reality for his own reality. Kris believes that all he knew was wrong, so why live that way anymore. Conversely, in the film, Kris also casts off reality for his own private world. He lives there to be fulfilled by the love he never received in the past. Both representations of Kris yield a man who wants to live in a world separate from the one he knew previously. Lem, Stanislaw (l961). 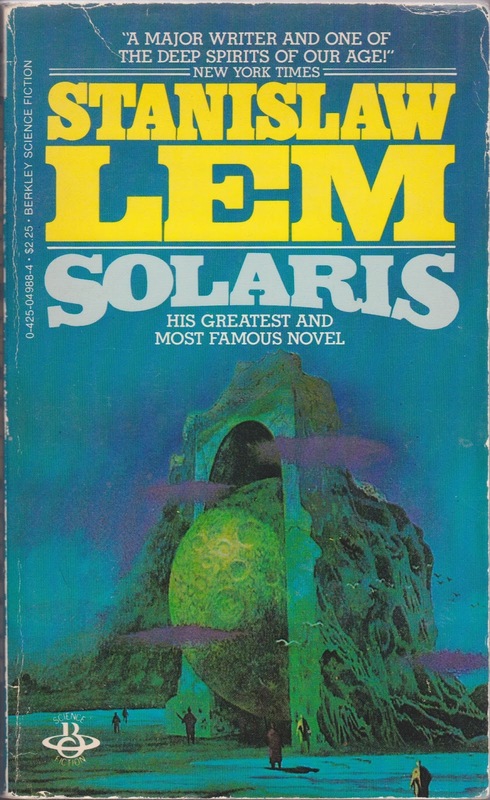 Solaris. New York: Harcourt Brace & Company.